If you’re looking to update to the highly anticipated macOS Mojave on your Mac®, never fear—our entire team has been hard at work to make sure Parallels Desktop 14 is release-ready. 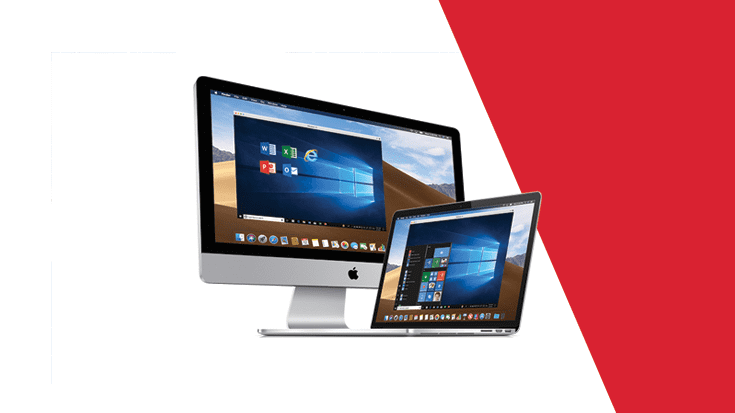 Apple® has new updates for you and we’ve brought some of those REALLY cool macOS Mojave® features to Windows programs with Parallels Desktop. We’re going to dive in and explore what it will look like with macOS Mojave and Parallels Desktop. At the end of this post, we’ll also cover the compatibility of macOS Mojave and older Parallels Desktop versions. Parallels Desktop 14 offers full support for the new Dark Mode UI. We’re really happy with the look and feel of both macOS and Windows in Dark Mode in macOS Mojave. 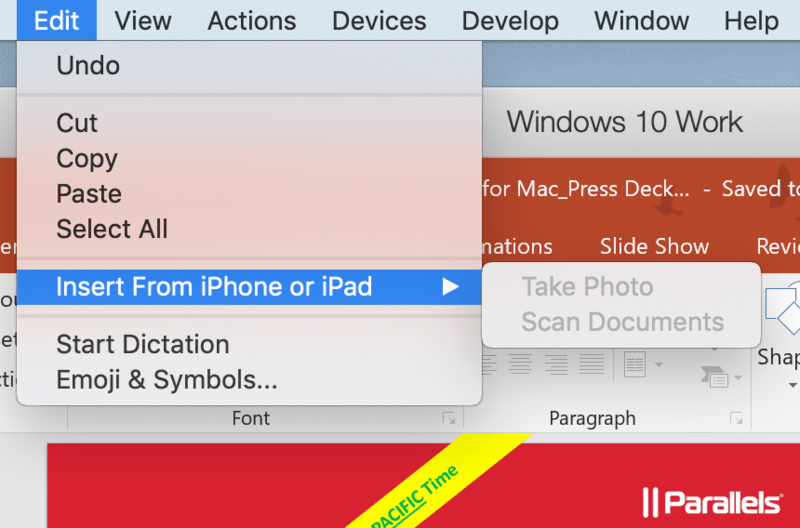 Parallels Desktop 14 now supports the enhanced screenshot functionality when using Command + Shift + 5. Once your screenshot is taken, you can see an actionable preview in the right bottom corner. Clicking on this preview will start up the Mojave screenshot editing tools, as you can see here. Use the “Insert From iPhone or iPad” feature in your favorite Windows programs, such as Microsoft Office. Your iOS device should have iOS 12 installed, Handsoff enabled, and the same Apple ID on your Mac that you use on your iOS device. Similar to iOS, macOS Mojave introduces new security measures to protect your privacy with respect to the camera, microphone, and access to your Photos library. The system now asks for the user’s permission before giving app access to a device. 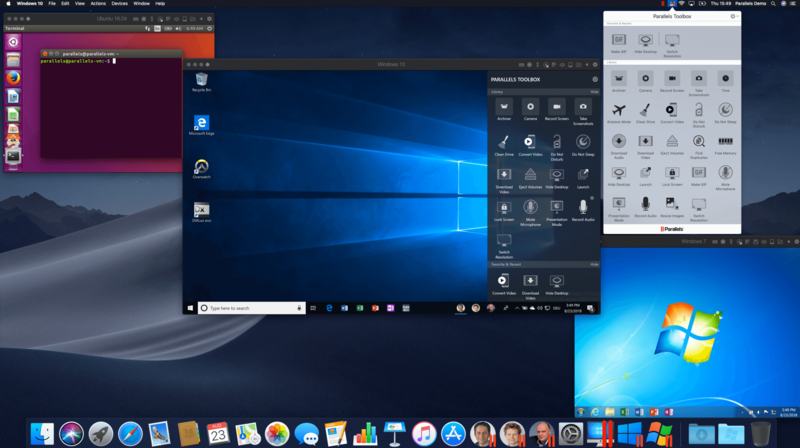 If you’re looking to utilize some of the (really cool) continuity features that macOS Mojave offers, you’ll need to provide Parallels Desktop with access. Because of the privacy and security changes to macOS Mojave, we’ve improved both reporting and protection with Apple Notarization, and we’ve implemented additional functionality for our licensing servers. The function “Open in IE” safari plugin will stop working due to macOS Mojave privacy and security changes. If you’re using a VM created from Boot Camp®, you will NOT be able to boot that virtual machine on macOS Mojave. Our team has been hard at work to try and resolve these, but the issues above come from the nature of macOS Mojave, not Parallels Desktop. The Parallels team has integrated the best features from both macOS and Windows for the last 10 + plus years to over 6 million users. Friendly reminder: now that macOS Mojave is out, feel free to download our free 14-day trial and try out Parallels Desktop for yourself. 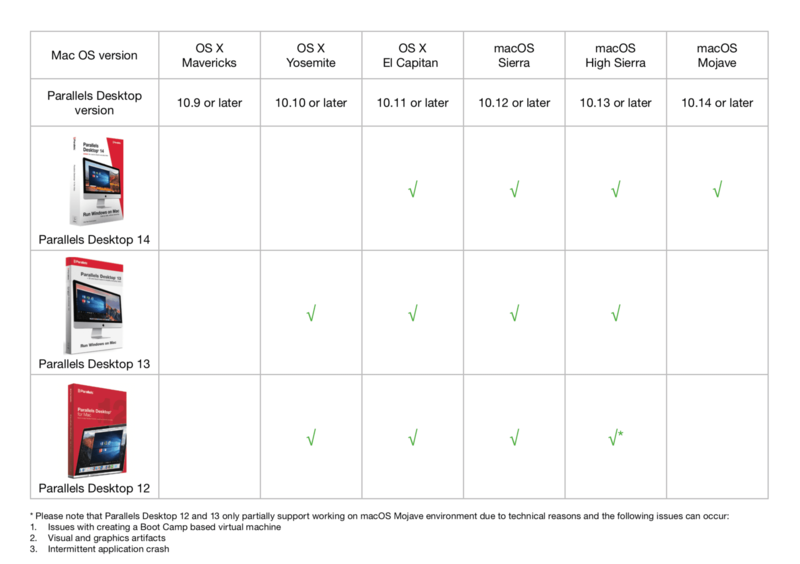 If you’re an existing user of Parallels Desktop 14, check for updates to make sure you’re on the latest release and download future updates. I can not run Windows 10 after upgrading to Parallels 14. It looks like some have had it run after a 5 minute delay? I have tried support but I never get their call and make a fix-it connection (an awkward set up with built in delays). After all of the time I spent looking for answers on Parallels site, etc, it came down to a reset in Windows actions. Why wasn’t that suggested when I was doing my research? Sigh… wasn’t a Parallels issue but surely others have experienced this.